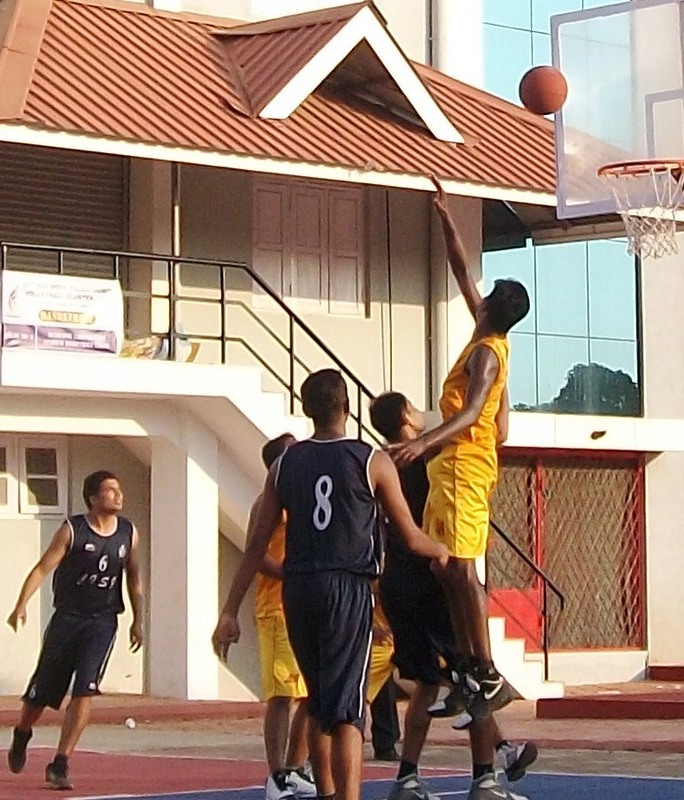 Babykutty/Press Release: Favourites Punjab Police, hosts Kerala along with Jammu and Kashmir, Haryana, BSF, CRPF, Maharashtra and Uttarakhand have moved on to the quarterfinals of the 62nd All India Police Games (basketball) being held at Thrissur. In the group matches that were held today, Punjab drubbed Rajasthan 58-18, Haryana beat Chhattisgarh 58-21, BSF beat Karnataka 63-36, CRPF got the better of CISF 65-40, Kerala defeated Andhra Pradesh 66-39 and Maharashtra beat Madhya Pradesh 57-47 . Uttarakhand scraped past Himachal Pradesh 57-56 and in the evening overwhelmed RPF 35-11 to establish itself as group toppers. Quarterfinal matches will be played on Thursday, 23rd February in the morning and semi finals will be played in the afternoon from 3 pm onwards at the Sree Kerala Varma College Courts.